This post is the first in a series of post to check the innovations of next gvSIG 2.1 version. The stabilisation process is close to being complete and soon we hope to release the new version. We will be telling you just a few of the many innovations for all those who begin to use the new version (It seems there are many people) or users who are just interested in knowing about the innovations. The new Layout is perhaps, one of the most noteworthy innovations because it does mean a mayor break with old versions. 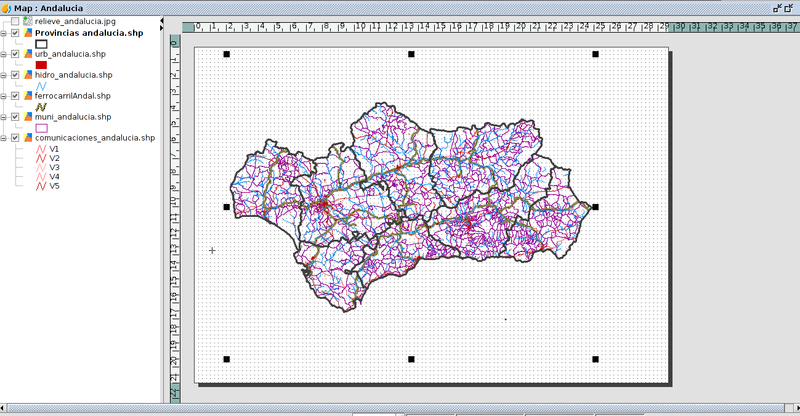 I personally believe that these changes significantly improve gvSIG cartographic production. As far as I am aware, gvSIG is the only open-source software that integrates layer management (better known as table of contents) within the layout editor. In contrast to some privative GIS, it is possible to have as many maps as you wish within the same project. This means that users are no longer required to change from View to Layout every time a new layer is added or modify labels or symbology. In fact, users can create their Layouts starting from scratch without the use of View tool, not one single time. The new Layout includes many new improvements, such as grid management which will have been further described in next posts. Let us briefly how new Layout works. If any View in our project has already been created, we will have to choose between View saved or a new View when we create a new Layout. 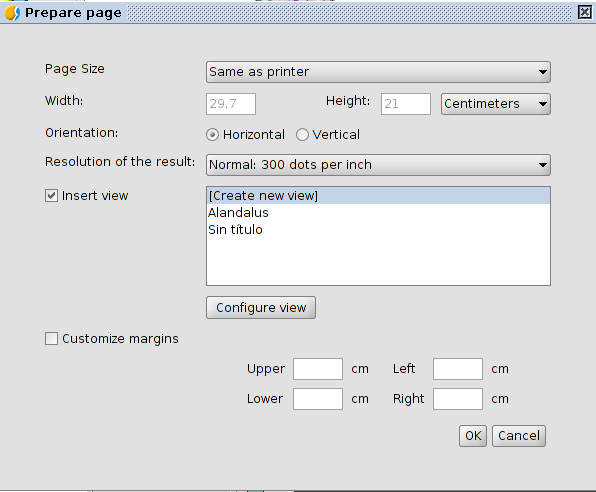 On the same window, we will have to define the size page for our Layout. Voilá!…We will now see a Layout with Table of Contents integrated in the left corner. If you have selected a View with layers, these will be displayed. Instead, by selecting new View, you can add new layers, define symbology, labels,…and all of this without leaving the Layout!!! This entry was posted in english, gvSIG Desktop, opinion and tagged gvSIG 2.1, layout. Bookmark the permalink.